Been needing new shoes for ages now but I very rarely buy some. It's just one of those things that makes me both bored and stressed out. A bit like underwear. Or socks. Rather not. 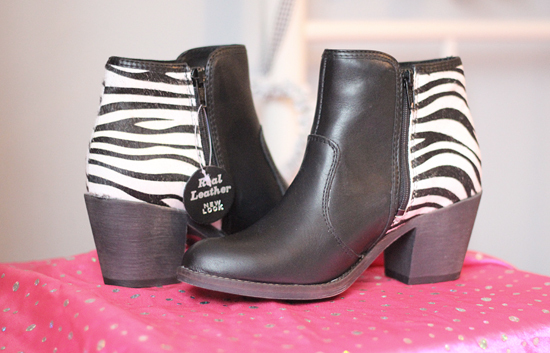 I do have a pair of tan leather boots from New Look (I know, I don't generally buy leather, and I would never wear real fur but sometimes the shoes that fit are real) so when I saw the Zebra ones I thought they looked really cool, and as they are the same type as the ones I already have then I knew they would fit. 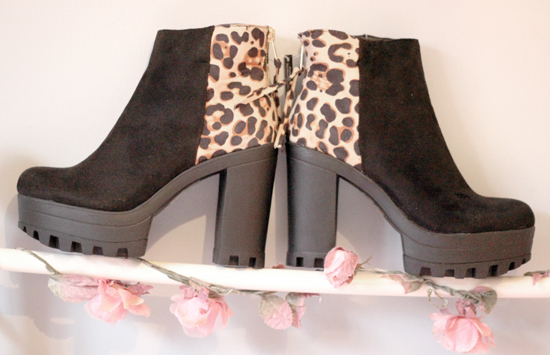 The leopard ones though are not real leather but they are very big! I'm always a 4 but these were like a 5. Cryptic. So I might take them back. I really do like them so it's tough.